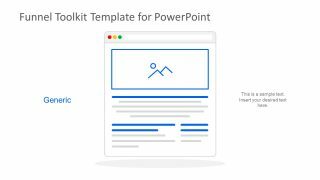 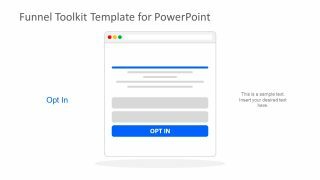 The Funnel Designer Toolkit PowerPoint Template is an extensive slide deck for sales and marketing presentations. 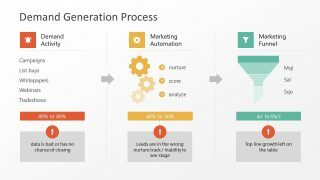 It is an illustration of processes starting from advertising to lead generation for the sale of product and services. 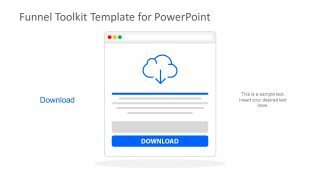 The sales funnel template slides show various series of stages and process flow designs of an organization or model. 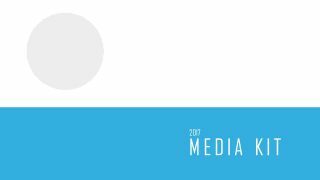 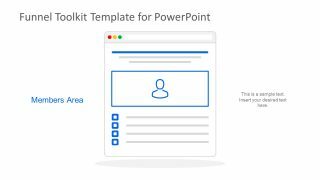 For example, the social media techniques in marketing funnel template like giveaways to gather information helpful in advertising. 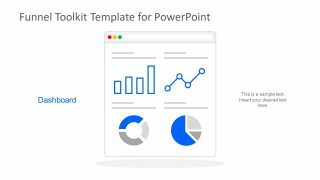 It is an infographic PowerPoint of icons representing different online & offline traffic sources, including social media, online marketing and the digital systems. 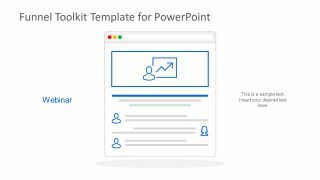 The first PowerPoint funnel template contains web layouts designs for online lead generation techniques. Such as, the landing pages, surveys, upsell and blog posts, etc. 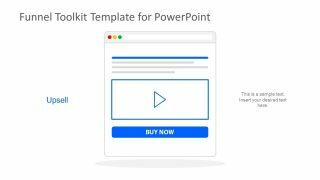 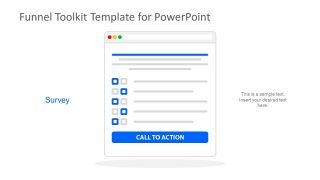 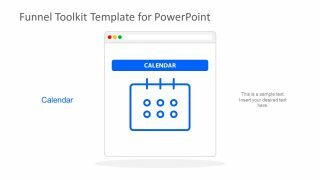 The Funnel Designer Toolkit PowerPoint Template is a graphical aid for the online marketing professionals and 100% editable template. 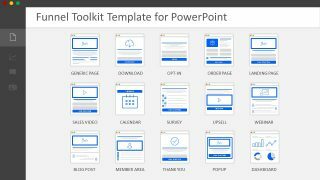 They can use these business presentation designs to demonstrate strategies, develop and implement plans etc. 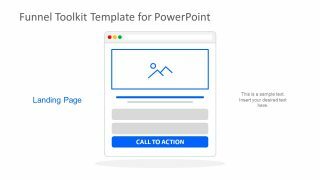 Further, the academic professionals and students of business marketing can use the funnel shapes to enhance their presentation designs. 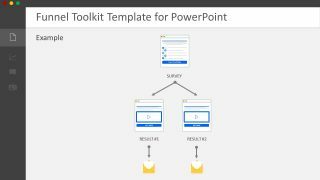 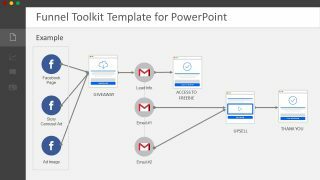 The three slides of PowerPoint show horizontal and vertical process flow diagrams. 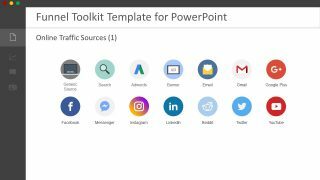 Whereas, the three more slides contain the infographic icons of circular shape for online traffic sourcing. 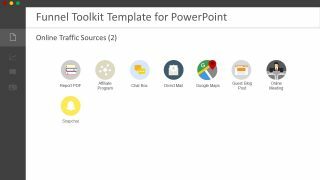 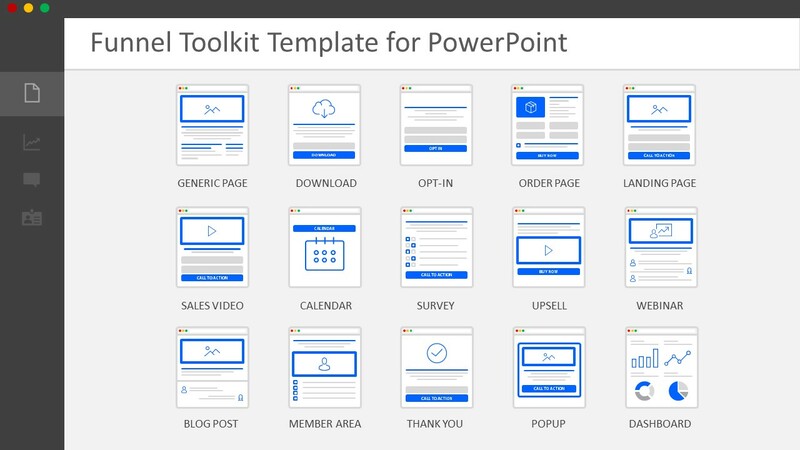 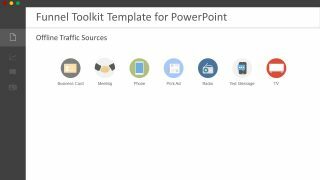 The PowerPoint template of funnel designer toolkit also displays the content management dashboard layouts. 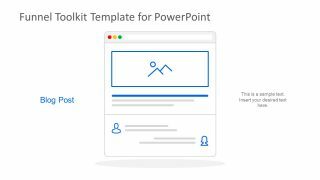 Further, the funnel template contains 15 incredible slides with the large-size layout of web designs for activities. 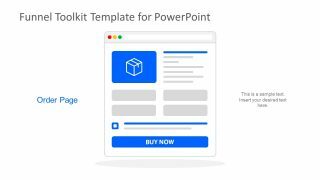 The sales funnel PowerPoint is a resourceful toolkit for targeting audience who have been exploring a solution or service. 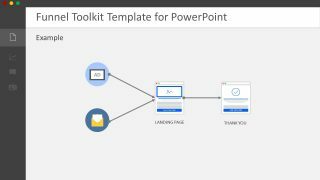 The template is also enable users to customize the sales funnel diagram and flow chart toolkits. 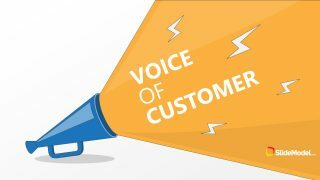 These include the color and size customizations, as well as, the layout formatting according to business processes. 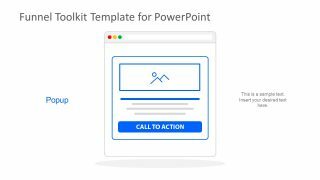 Also, copy the selective slides and use them and company’s sales or marketing funnel conversions presentation. 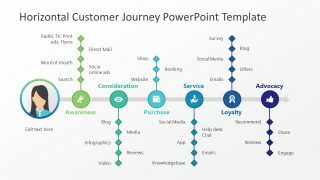 The SlideModel has a range of funnel diagram design to graphically support the online marketing as sales concepts.